Sydney, 8 April 2019 – Alan White, fundraising manager at Asylum Seeker Resource Centre (ASRC), has been appointed to the Fundraising Institute Australia Board of Directors, effective immediately. Alan is also FIA’s 2019 National Young Fundraiser of the Year. “We’re pleased to welcome Alan to the board of directors of FIA. At just 29, he has accomplished a great deal in his eight years in the sector. The FIA Board of Directors is looking at ways to encourage more young people to consider fundraising as a career and Alan is perfectly placed to help us with this. His insights, experience and advice will help guide the vision and strategic opportunities for FIA in this space,” said Chair James Garland. 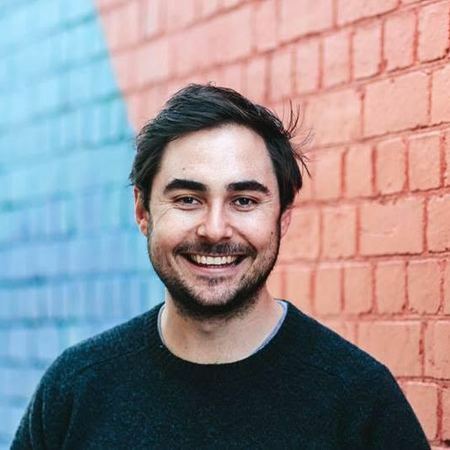 With fundraising expertise in the education, health and humanitarian sectors, Alan started his career at 21 as the philanthropy council manager at Queensland’s Bond University. He also worked in fundraising, marketing and communications roles at Oxfam and Mater Foundation in Brisbane before becoming the fundraising manager at Melbourne-based ASRC in 2017. During his time in fundraising, Alan has developed successful program activity resulting in impressive year-on-year growth for the organisations he has worked for. At ASRC, he has overseen 42% year-on-year growth. On the board, Alan will work on initiatives to encourage more young people to come into the fundraising sector and offer guidance to younger members in the community about their careers. He will also champion FIA’s vision and mission in Victoria. “I’m excited to be joining the FIA Board of Directors at this time. I’m keen to see more support for younger fundraisers especially around mentoring and encouraging more young people to come into the profession,” he said. Alan is also interested in developing a more diverse fundraising sector. Alan White is a Certified Fund Raising Executive (CFRE) and sits on the Victorian FIA State Committee. He also sits on the Melbourne Queer Film Festival Board of Directors and the Fundraising and Marketing Sub-Committee of Plan International’s Board of Directors. He holds a Master’s in International Relations (Business) from Bond University. Alan replaces Ben Holgate, general manager – strategic fundraising at MS Research, who is stepping down from the FIA Board of Directors. James Garland thanked Ben Holgate for his valuable insights, dedication and service to FIA and the fundraising community. With approximately 1500 members, Fundraising Institute Australia is the largest representative body for the $12.5 billion charitable fundraising sector which is supported by some 14.9 million Australians. FIA members include charities operating domestically and internationally as well as the organisations and professionals that provide services to them. FIA advocates for the interests of the sector, administers a self-regulatory Code, educates fundraising practitioners, promotes research, and creates forums for the exchange of knowledge and ideas.